The first half was an extremely tense affair, with Barcelona dominating possession. After a bright early spell, Chelsea sat deep and soaked up attack after attack. It was a perfect defensive showing, limiting the Spanish side to few opportunities. In fact, as the half went on it was the Blues who had better results going for goal, with Willian striking both posts with efforts from outside the area. 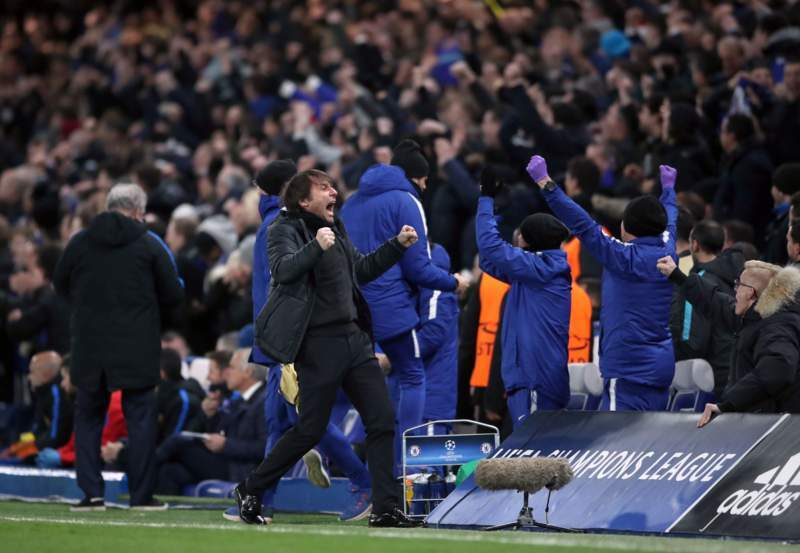 When the break came, it was looking extremely positive for Antonio Conte’s men, who still had strikers on the bench to bring on. The second half stated with a similar pattern, the away side dominating the ball but the home team looking stronger on the counter. When the Blues won a corner, the ball was for once played to the edge of the box, and Willian appeared for his third strike of the night – this one found the net. One nil Chelsea. From there the Blues continued to threaten on the counter, but they sat deeper and deeper. One great break saw N’Golo Kante free on the far side but Willian wasn’t able to get on the end of it. Moments later, the ball flew down the other end and Lionel Messi took advantage of one mistake in the back line to score the equaliser. It was a heartbreaking moment for Chelsea, who had done so well in the game defensively till that point. After that both sides had chances to win it, and Chelsea brought Alvaro Morata on to try and win some battles higher up, but they couldn’t change anything as Barcelona looked ready to settle for a draw and began time wasting.